Can you guess the top 3 items lost on the Metro? 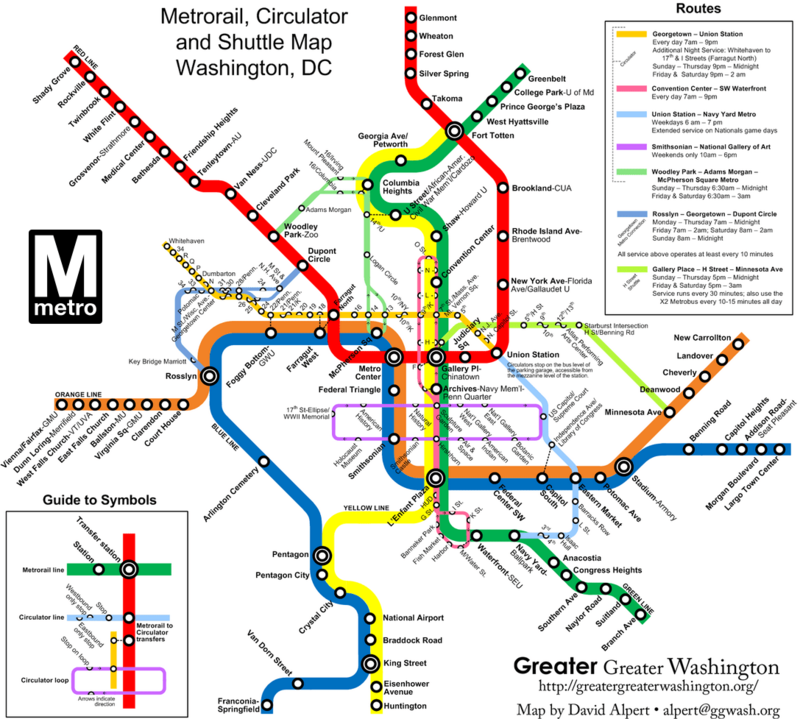 As the 2nd busiest metro in the nation after New York, the Washington Metrorail gives approximately 758,000 rides to commuters per weekday and a whopping 209 million rides per year. With that number of distracted travelers bumping and jumbling around, you know many important items are bound to be forgotten. Indeed, the Washington Post notes that the Metro’s Lost and Found recovers essential and expensive piles of keys (300+), glasses (300 or so) and wallets (200) every month. The expense and inconvenience of paying $100+ to replace a key fob or having to pay and wait for a replacement pair of glasses would incentivize most travelers to stand in a lost and found line. The most nail-biting of all is when a wallet goes missing and with it, a driver’s license and credit cards. Many more items are left behind in the Metro system. In fact, another article by the Washington Post states that the Metro received 1,442 items in the month of October, 2014 with everything from iPods to computers to strollers. In addition to the everyday items are the unique and bizarre, which give the Metro’s lost and found personnel a fair amount of laughs. A lost alligator head and a specimen of sea creatures certainly are in the top ranking. The best takeaway from the Washington Post article regarding the Metro is that people, despite their busy schedules, still make it a point to turn in lost items. Not only are honest people turning things in, but it is also done in a way that the owners are getting their valuables back. It looks like the staff at the Metro’s Lost and Found are doing a great job. Don’t forget to take a basic inventory of what you brought with you next time you board the Metro. Look around, go through an essential check-list and peak at your seat before your leave your next bus or subway. You never know what you might find for someone else or what you may leave behind otherwise. Cute animal superheroes with extraordinary skills are sure to delight young and old alike and run Youtube videos ragged. Okay, so most people like cute, but 74% of us LOVE dogs (according to Associated Press/Petside.com poll). Mix fuzzy, heart-stopping cuteness and puppy wiggles with super-sense and you have one amazing marketing opportunity. One such masterful promotion was launched by KLM Airlines as part of their marketing campaign, and it went viral! With flopping ears, blue KLM uniform and even a name tag, the video highlights a KLM Lost and Found Beagle finding and returning items to (sniffing out) their owners throughout an airport. 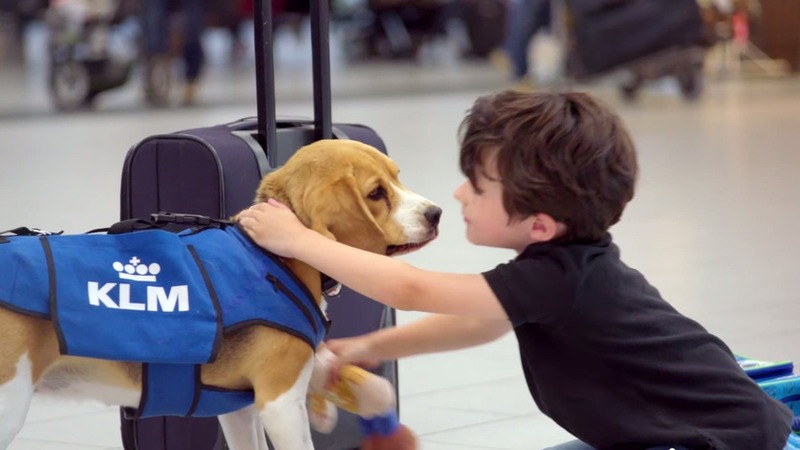 With behind the scenes footage of the rigorous training this beagle goes through and the testimonials of KLM staff, they were able to create a captivating, feel good and seemingly credible service promotion. (Dogs are trained to sniff out all sorts of things, right? Why not connect lost items with their owners?) It was so believable that many people and news outlets around the world believed it. But it disappointed many (including myself) as it was discovered to be a marketing stunt, devoid of the whole point of the video. The resulting fall-out left some feeling heartache for being deceived into believing something to be real that wasn’t. Others seemed to be able to appreciate the brilliant business tactic in drawing attention from all corners of the globe to the KLM brand (regardless of whether their information was true or not). Looking at the positive side, it is a great story. Imagining a Superhero Beagle Brigade specializing in brightening a traveler’s day through a good-hearted rescue and return service, is a delightful prospect. In fact, travelers and non-travelers alike would all benefit from these little, mood-enhancing creatures. Deploy the beagles! Airports around the world are in need of you! On a serious note, if you do end up losing a losing an item on a KLM flight, you can go their website lost and found. Surprisingly enough, it was not easy to find the link to their lost and found section and the information was scarce. It left us wishing the Beagle Lost and Found service was real. 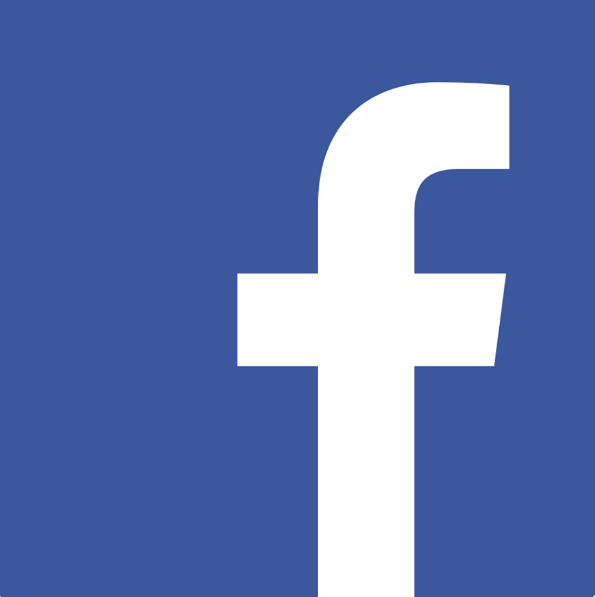 The Belfast Police Department in Maine used Facebook to locate the owners of a lost camera. It turns out they had it in their lost and found box for two and a half years. They had tried locating the owner since 2012 without any success. The camera resurfaced when a woman called about keys she had lost. The camera had hundreds of photos of people enjoying some tropical destination. The Bangor Daily News tells how Sgt. John Gibbs decided to give social media a try and see if one of their Facebook page fans recognized any of the people in the photos. With 1.23 billion monthly active users on Facebook and that the six degrees of separation theory is pretty accurate – this was a brilliant idea. Within one hour, they had a hit! A woman recognized her friend’s boyfriend and his girlfriend on the photos taken in Nicaragua. The couple thought the camera had been stolen from their car. Instead, they had forgotten it on a rock. An honest person had found it and turned it into the Belfast Police Department lost and found. The owners of the camera from Yarmouth were delighted to have the camera back. Imagine the surprise it must have been for them and how much fun reliving their trip to Nicaragua. They must have been glad also to get their Pentax waterproof camera returned. Every day there are new ways in which social media is being harnessed. Even though the world population is growing daily, the world is shrinking in terms of how people are connected through the Internet. In an instant, information can travel around the world. Like anything, it has the power for good or evil. Hopefully, so much more good will come of it as with this story of an honest person that turned in the found camera, a police Sargent that thought outside of the box and community that was involved. There are some stories that are so amazing and hard to believe that you wish they were caught on video – this is one of them. This lost and found dog story starts in Brisbane, Australia where a dog named Muffy went missing. 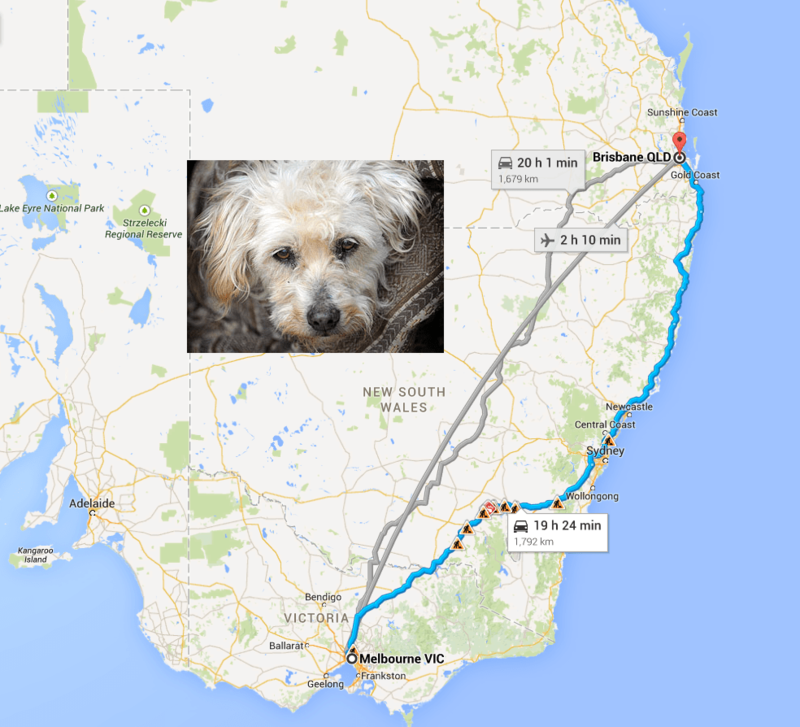 Nine years later, she was found in Melbourne, which is 1,242 miles (2,000 km) away. For those not familiar with Australia’s geography, this about the same distance between Los Angeles to New Orleans. There were several things that made this lost and found dog story possible. The story featured on The Daily Telegraph tells about how her owner Chloe Rushby was eight years old when her dog disappeared. Muffy had been implanted with a microchip that provided the necessary contact information including her name. Someone tipped off RSPA, which is a community-based charity that seeks to prevent animal cruelty. When they found Muffy she was skinny, had matted hair and was suffering from severe dermatitis caused by flea allergies. Sadly, the last two years had not been very good for Muffy as she had been confined to a filthy backyard. Hopefully, the previous seven years were much better and worthy of her having had a GoPro video camera throughout her trek to South Australia. When I was about 12 years old, the dog my brother and I had been given for our birthday disappeared. For the next five years, we talked about her and wondered where she might be or if she was even still alive. So I can imagine what a shock and wonderful surprise it must have been for Chloe to find out nine years later that Muffy was not only alive, but was going to be returned to her. I have a feeling that the best days are ahead for them both! You can find pretty much anything imaginable on Pinterest. In fact, according to a statistic by Semiocast a French social media agency, there are over 70 million users worldwide – this makes for a lot of pinned favorite desserts! What was once used mainly by women for pinning dresses, desserts, children clothing, and destinations has now evolved into a powerful and creative business tool. It has also become a place to pin lost and found items. The Metro Winnipeg website recently posted an article about how the Winnipeg police had created a Pinterest lost and found service. So no need to look any further for that remote control helicopter that flew over the border into Canada. Other items posted include car keys, phones, a watch and even foreign currency. Victoria Police is creatively making use of Pinterest boards as well for posting confiscated property. States-side, WJAC wrote about how State College Police Department in Pennsylvania also created a Pinterest lost and found board to help in locating the owners of the lost items. The greatest challenge we found with Pinterest is that the searching functionality is not exactly what you would be accustomed to using Google. After you enter the initial “lost and found” keywords, there are ways to refine the search using category tiles. These are fine for exploring, but looking for a specific lost and found board those of Winnipeg police or the State College Police Department didn’t come up without exact results. It also is easy to get lost in the myriad of images available on the site and end up going down a rabbit trail. Have you ever found a lost item using Pinterest? Please share with us your suggestions for how to effectively use Pinterest to locate lost items.